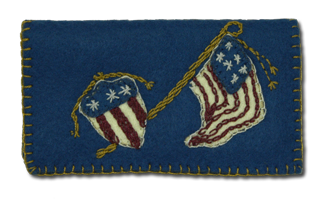 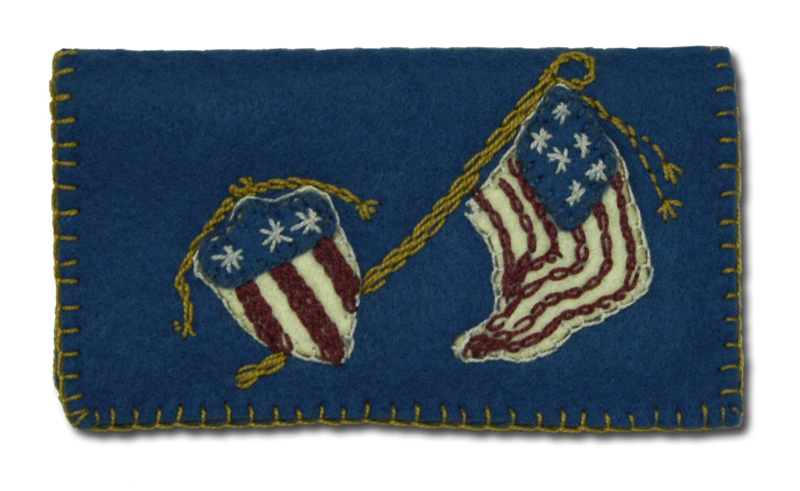 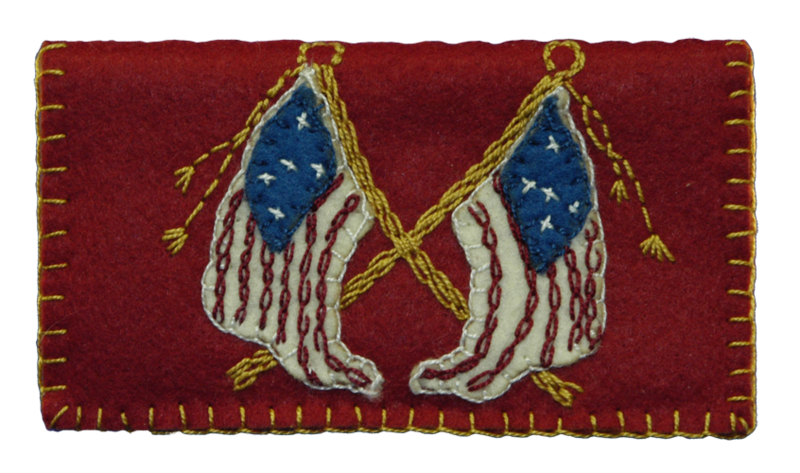 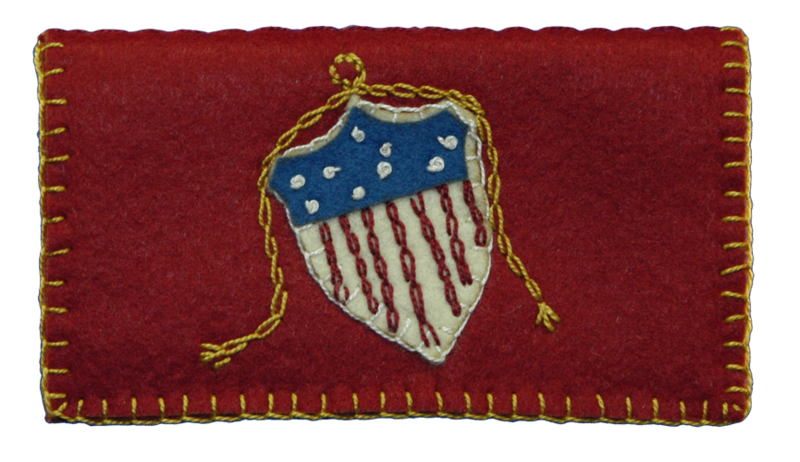 The Patriotic Needle Books are inspired by early American flag and shield designs. 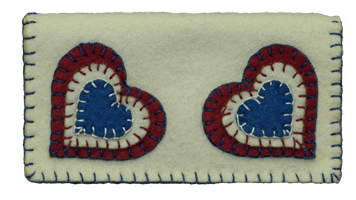 You can choose from Crossed Flags, Large Flags, Shields, Hearts, or Shield and Flag combinations for your sewing basket. 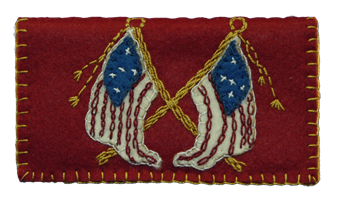 They make a great gift for that patriotic person or for a special occasion or for that special day. 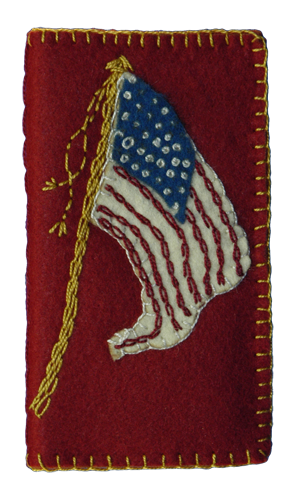 These are full sized needle books that measure 5″W × 23⁄4″H and have a double-layer cover with 4 pages for needles with multi-layer appliqué. 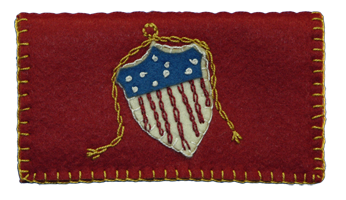 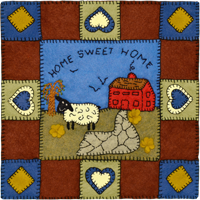 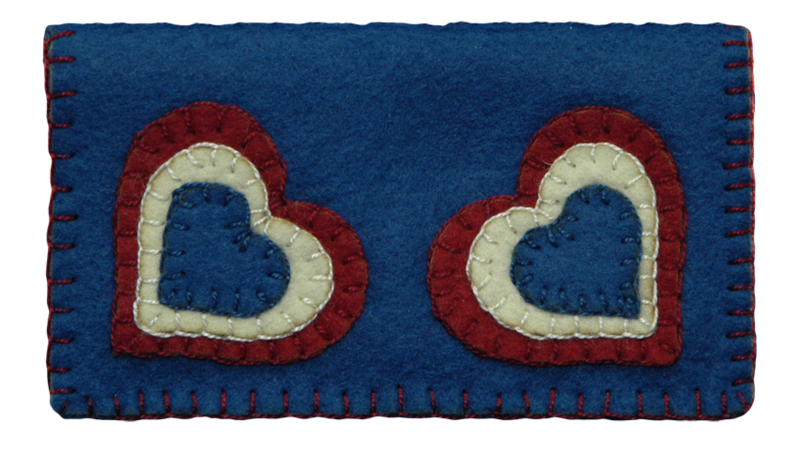 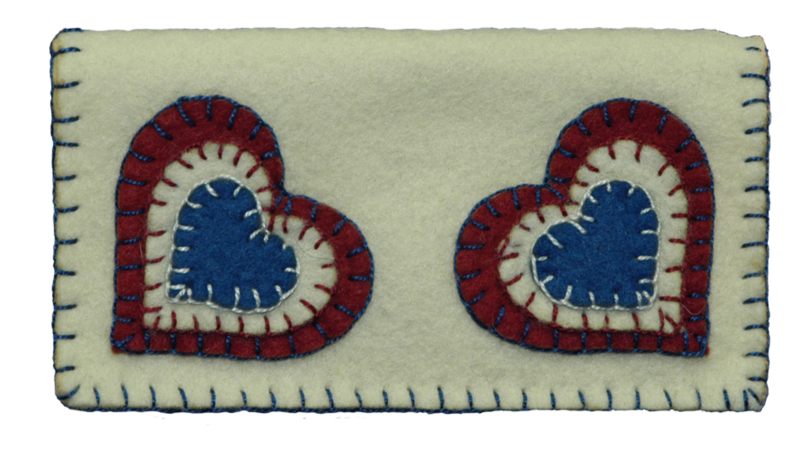 All use a blanket stitch for edging and some of the applique and some require additional chain stitching for the embellishments and designs. 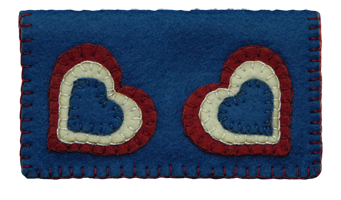 Download the instructions in PDF format.